Legends and traditions in Sicily have a great value. If you don’t know the story of Saint Lucy, we will tell you right now. In 1646 Palermo was hit by a terrible famine that carried away lots of citizens. Because of this tragic event, survivors started to say prayers to Saint Lucy and while they were asking her for saving Palermo a miracle happened: a big ship full of corn arrived into the porto of the city, changing the fortunes of people otherwise destined to death. From that day, Saint Lucy has been celebrated in Palermo every 13th of December. According to the tradition people usually remember the Saint’s intercession fasting or avoiding to eat corn and every kind of flour. Actually, Saint Lucy Day has become the opportunity to devour lots of arancinas – typical Sicilian rise balls fried and filled with delicious dressings like butter, ham, meat and so on. But there is another culinary queen for Saint Lucy in Palermo: the famous cuccia. 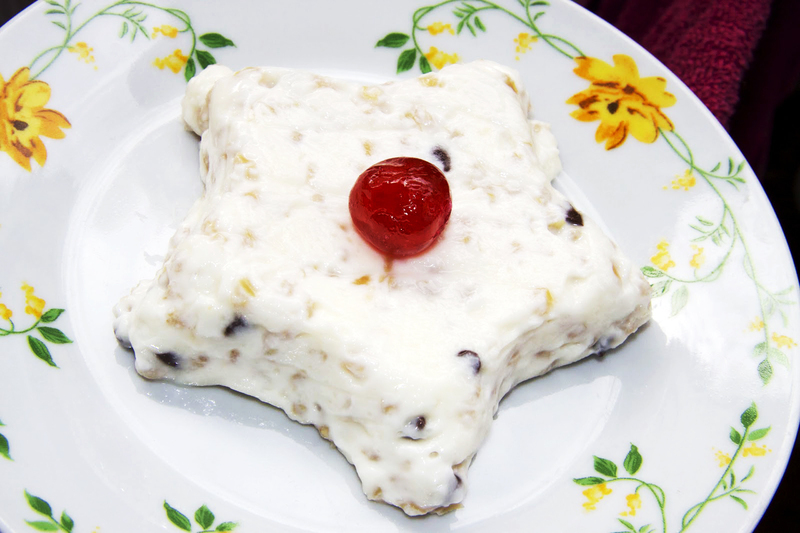 Cuccia is an ancient Sicilian food made of boiled corn, ricotta cream, chocolate chips or candied fruit. It is considered a real marvel in Palermo and its taste is rooted in the city traditions because of the story of Saint Lucy’s miracle. In fact, it is said that when the ship docked, people were so starving that they were not able to wait for the corn to be processed into bread. For this reason they decided to eat boiled grains. ← Believe it or not, Palermo is a comic artists hotbed!